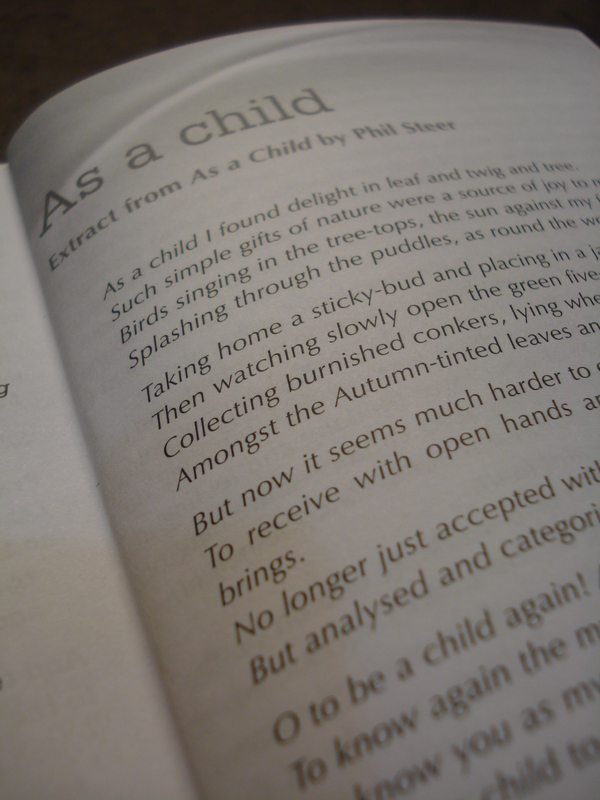 I am honoured and excited that BRF have chosen to include an extract from As a Child in the new-look Quiet Spaces (May – August 2013 edition available now). Published three times a year, each issue of Quiet Spaces provides four months’ worth of inspiration for your quiet times. presented in fortnightly sections. This material can be used in daily portions throughout the week or all in one sitting as a Quiet Day, perhaps at the weekend. Within each section there are twelve elements comprising reflections inspired by different traditions, creative activities, liturgy, Bible reading and ideas for meditation. For more information see the Quiet Spaces website and the BRF Online shop. On Sunday 6th May I was interviewed about As a Child during the service at The Church of the Good Shepherd, Collier Row. You can listen to the interview here. Being interviewed and speaking about the book was the easy part. After the service came book signing and taking people’s money, which I must say made me feel rather awkward and self-conscious! 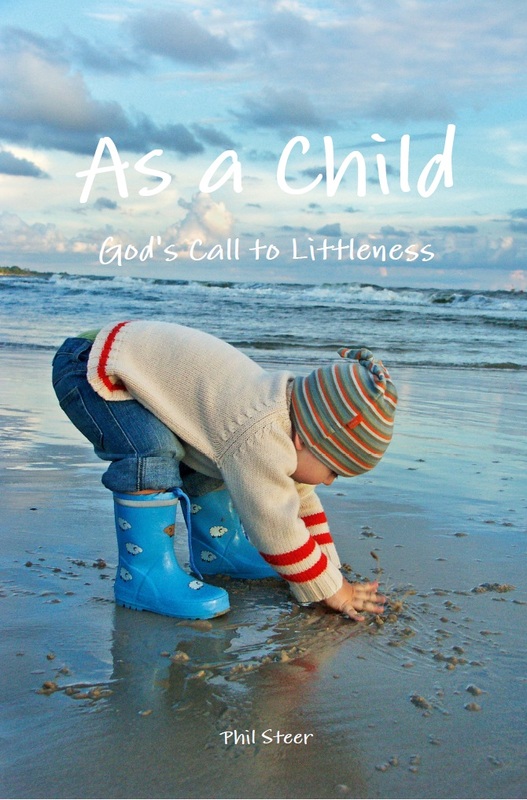 Welcome to the website for my forthcoming book, As a Child: God’s Call to Littleness. Jesus said, “I tell you the truth, unless you change and become like little children …” Yet how many of us truly believe that we need to become like little children? And how many of us have begun to take on board the implications of these words for our life and faith? As a Child explores this call to childlikeness, this call to littleness – a call that I believe is fundamental to us entering into all that God has for us, of living the life that he wants us to live and becoming the people that he wants us to be. The planned publication date for the book is 18 April 2012. Initially it will be available through Lulu.com, but should be available through other channels at a later date. In the meantime, please do join me here, on Facebook and on Twitter.